We hope that by visiting our website you will develop an understanding of the vision, aims and values of our school. 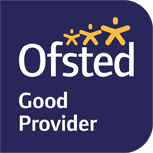 At Eversley Primary School we work with your children to ‘be the best they can be’. We pride ourselves in providing a vibrant and engaging curriculum which equips our pupils for life. We inspire, challenge and care for every child in our school and develop in our children a positive attitude to their learning. All of our governors and staff are committed to providing the best educational opportunities for all who come to Eversley and we endeavour to work alongside our families to support them with their child’s learning. We are proud of our school and I hope that you enjoy discovering more about us through our website. If you would like any further information about our school please contact us through the school office. Book online for the Eversley Primary School Parent Consultations. Off-road 3km runs in May, June and July. Open to children and adults. If you are interested in training to become a teacher then please click here. and expects all staff, volunteers and other workers to share this commitment. Book clubs for your children here!